The Term Dates for the upcoming school year, 2018-19, are now available in the News and Events section of the website. 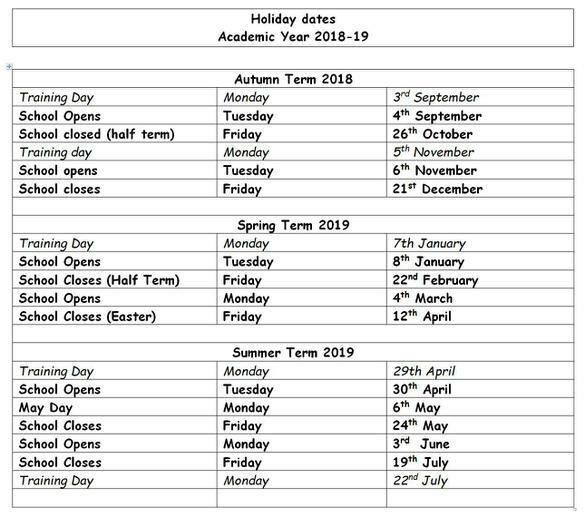 The impact of reduced attendance can be quite significant for pupil progress and so we encourage you to use the School Term Dates to help you plan for any family holidays next year so they coincide with school holidays. National Tests will take place from May 7th to May 14th 2019, so we ask that your children are in school on these dates.